The Tanzania Petroleum Development Corporation is preparing to begin the search of a partner to enable it carry out acquisition of 150km lines of 2D seismic in its wholly operated Eyasi Wembere License in the north eastern part of Tanzania. The block which lies in the East African Rift System has to date seen no wells drilled or seismic studies being undertaken although some data about the block can be found in the countrywide magnetic and gamma ray spectrometry survey data. 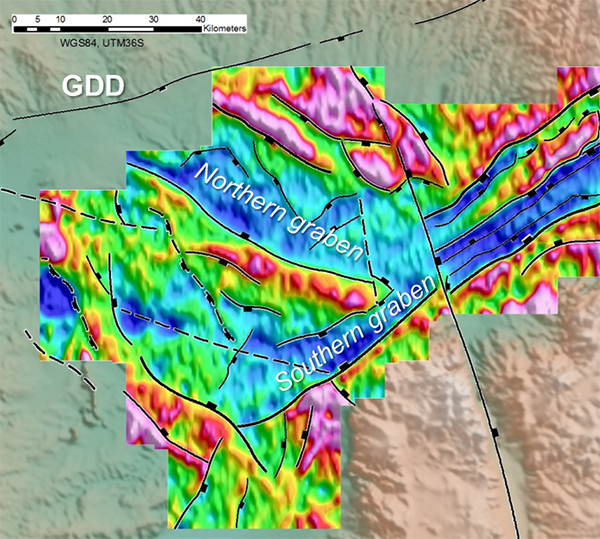 According to a recent paper by CGG and TPDC experts ‘SEG Technical Program Expanded Abstracts 2017’ the Western and Central sub-basins of Eyasi Basin provide the best opportunity for thick sediments, extensive reservoir facies, and proximity to a hydrocarbon kitchen with the depth to the basement estimations in these sub-basins implying the sediment accumulations might be as thick as 5 kilometers and are therefore identified as prospective areas for hydrocarbon exploration. The Natron and Manyara basins appear to have lower sediment thickness than the Eyasi Basin and fewer structures that seem favorable for the development and trapping of hydrocarbons. The 2D seismic will thus help to better improve the mapping of the sub basins in the block including rock structures, allow for identification of lead prospects and thereafter identify the best drilling location of the first well in the block. Sourcing of a strategic partner to carry out hydrocarbon exploration including 2D seismic is expected to commence on November 3rd 2017. TPDC which has more experience in natural gas has sought technical help from Uganda’s Petroleum Upstream Regulatory authority to help it gather geological and geophysical information in the block with the experts already having toured the Eyasi Wembere basin earlier this month. The Eyasi Wembere license is strategically placed near the East Africa Crude Oil Pipeline from Hoima to Tanga route making it easier an oil discovery to reach to market faster by connecting to the world’s longest heated crude oil pipeline.